Best Seller Publishing announces the release of Lindie Taylor’s new book, “Your Body Talks to You: Learn to Listen to Your Body.” It will be available for free download in the Amazon Kindle Store on October 1st. “Your Body Talks to You” by Lindie Taylor will be free and available for download on Amazon for 5 days (10/01/2018 – 10/05/2018) at: https://www.amazon.com/dp/B07GR9FRRX. “This book is beautifully illustrated and simply written to explain messages our bodies send to let us know when things are off track. It makes it ok to ask questions about normal bodily functions. It can be used by parents to educate their little ones, or read by the older child as curiosities arise. It offers many helpful tips to maintain good health and develop good habits. Highly recommend this for all parents with small children.” – Rebecca B. “This book is a must-buy for all parents. 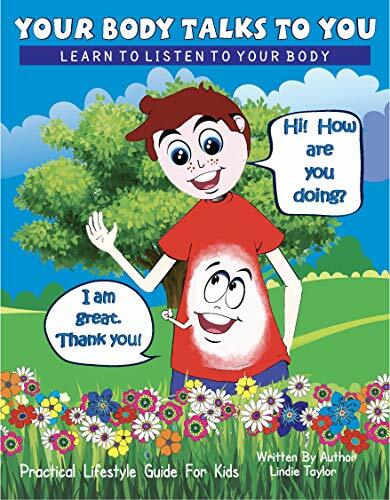 It is never too early to teach children about healthy lifestyle habits and to respect their bodies. It is written in a way children can relate to, and the illustrations and colorful and vibrant. I love this book!” –Cornelle T.
Lindie Taylor has been working in the health industry since 2003 and is an internationally qualified colonic hydrotherapist. Taylor specializes in helping individuals with constant back and general body pain. Her two books are awareness books to help children and young adults make better decisions regarding their emotional and physical health.